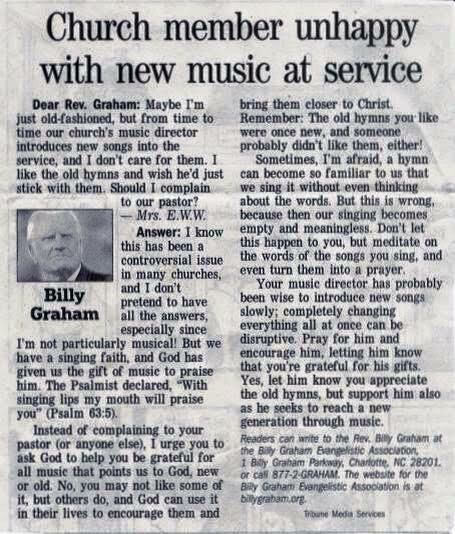 Worship has been changing in America. It’s been changing radically in the 20th century, and even more so in the second half of the second century. The so-called “worship wars” of the 1980s led to the rise of contemporary worship styles and services. “Blended” services were formed in order to allow contemporary worship and a variety of instruments into shrinking churches with the hope that the church would slowly evolve and grow. By the late 1990s, most churches that had hope of having a future had already changed mostly or entirely to contemporary worship. In the first decade of the 21st century, the American Church witnessed rapid church closures, the impending death of mainline Protestant churches that had refused to change what needed to be changed, and the rise of a massive church planting movement. Church plants began from the ground up with contemporary worship styles, following on the successes of churches that first pioneered contemporary worship in the 1980s. Today, churches that cling to traditional worship styles are among the few. Most of them have designated a single service to traditional worship for those who still long for it, usually meeting in a separate room on campus while the main worship space is used for contemporary worship. For most people, this is not a surprise. Most people have looked around the church culture and seen that this change is not only underway but is now pervasive. The media has widely reported on the signs that traditional worship is passing from our culture. Commentators have observed that traditional churches do not have a strong future. In my own area, one church has recently cancelled its only traditional worship service, another church has removed its traditional elements from its largest, formerly blended service, and a nearby church plant that started with contemporary worship 3 years ago now has 2000 people attending each weekend. But behind these facts are a lot of anxiety and uncertainty, and that’s where a pastor’s heart goes. The most challenging part of this is that there is still a population, largely septuagenarians, who feel alienated by the change. For them, the experience of modern worship is a lot like the couple of hours I spend playing with my kids in the afternoon: it’s noisy, it wears me out, it gives me a headache, and it’s not really fun for me, but I do it because I love my kids. After my kids go to bed, I have “me time,” which is far more peaceful and relaxing, and is really what I want. For that generation, a worship service that is “for the kids” wears them out, and they are left wondering where to find a space for themselves. They feel disoriented and ignored. The disagreements are not new. In the 3rd century, churches fought to keep instruments out entirely, because they were associated with pagan cults. In the 15th century, John Wycliffe complained that the music was being written in a way that was too complex so that only the choir could sing, and everyone else just had to stare. In the 17th century, Reformed churches fought to keep the organ out. In the 18th century, a pastor wrote an article opposing the new music being written by Isaac Watts. He said, “There are several reasons for opposing it. One, it’s too new. Two, it’s often worldly, even blasphemous. The new Christian music is not as pleasant as the more established style. Because there are so many songs, you can’t learn them all. It puts too much emphasis on instrumental music rather than Godly lyrics. This new music creates disturbances making people act indecently and disorderly. The preceding generation got along without it. It’s a money making scene and some of these new music upstarts are lewd and loose.” That was in response to “When I Survey The Wondrous Cross” and “Joy to the World.” In 1903, Pope Pius X banned the piano in worship by papal decree. Later in the 19th century, the founder of the Salvation Army quipped, “Why should the devil have the best music?” and then began writing far more enthusiastic church music. In the 20th century, many Christians expressed skepticism at the early gospel radio broadcasts of the evangelist Charles Fuller. Then in the 1970s, pioneers fused modern rock with Christian themes and started a furor of their own. Sigh. This puts pastors in a bind. We have to align our people with our mission, our strategy, and our cultural context. Usually these four things don’t line up well or easily. We are left to disregard either the culture, making us irrelevant, or to disregard our mission, making us directionless, to disregard our people, making us insensitive, or to disregard strategy, making us look confused. The pastor, who is more subject to public opinion (and consequent crucifixion!) than anyone else, has the burden of guiding this alignment and being resented for it, no matter the results. Now personally, I don’t feel any resentment towards those who fondly remember and still prefer traditional worship. For them, it was a feeling of home and a feeling of family. Talk of “blended services” today is an anachronism. Some think the compromise that they made in the 1980s to allow the band to meet in another room for a service for young adults was as much compromise as they needed to make. And for those who have attended the same church for years, they don’t think that the massive changes that have already happened in our culture need to affect them further. It’s painful and disorienting for them. But this is the last chance for churches to live or die. Today churches that can provide a separate space for a traditional service may allow it to go on in that space for a while. For churches that have a single worship venue, effective ones will no longer maintain traditional or even blended services if they want the church to have a future. Those that are trying to do so have by and large already seen their young adults leave for other churches. That’s the state in which churches and pastors find themselves today. There is not a quick solution for the population who does not welcome the change in styles. They feel marginalized. Nor is there a possibility that vital churches will go backwards. That is a leadership failure of the highest order, and it will cost them their future. We love each other and we keep moving. The only viable way forward will come when people who love Jesus put the gospel and the kingdom in front of their own preferences to make way for those who don’t yet know Jesus. It’s only when our hearts beat for lost people and for Jesus that the mission of the church will overwhelm our preferences. This is not something that we can bring about by our own effort, because only the Holy Spirit has the power to change hearts. At the end of the day, the best we can do is to cast vision, to pray, and to keep preaching the gospel for the salvation of humankind. Amazed with this. The booing, the change in music, the banning pianos and organs. What? Incredible. Give me that #OldSchoolGospel or some #AcapellaWorship. Thank you for your thoughts on this very important topic. I can only imagine how it must be for those who grew up with traditional worship services, such as hymns only, to find themselves now in such different types of worship everywhere. I’m sure it’s hard, and I’m sure we will all be in that place one day! I guess compassion is the key. Hi Jim – do you have the source of that quote concerning Isaac Watts? I see it frequently used, but haven’t been able to trace down where it actually came from or who said it. Thanks! I could not imagine being at any church function or meeting and hearing grown adults, or any others, booing their pastor or speaking that harsh to them. Sorry that you had to experience that. I agree with your comments and glad to know you are “pressing on”. Thx for the timely word Jim. We’re going through this worship style issue at our church.